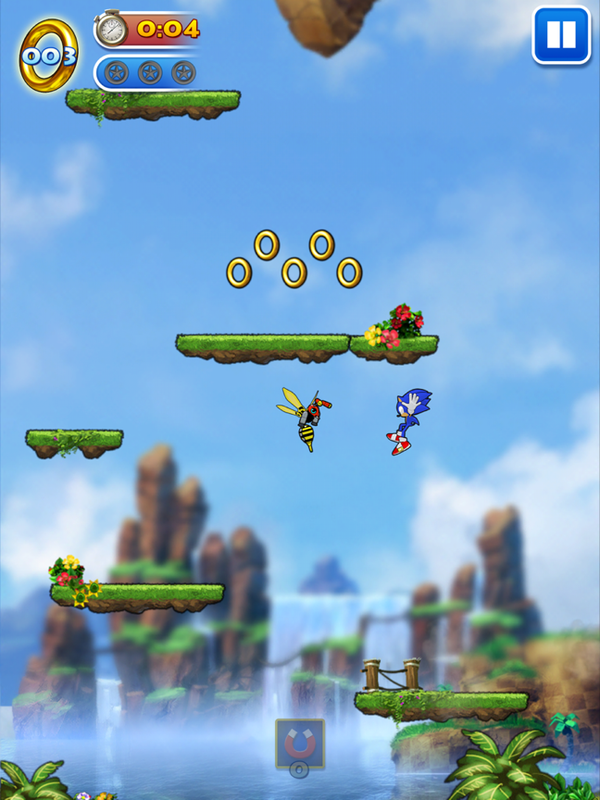 Sonic Jump™ ($1.99) by SEGA is, as the title suggests, a jumping game. 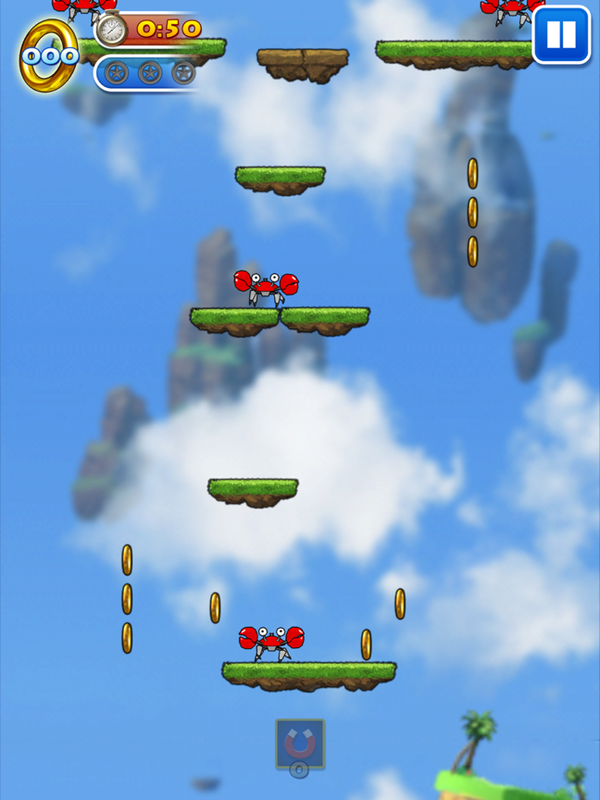 This is a genre that was popularized early on in the App Store's debut with games like Doodle Jump, which has been around since 2009. 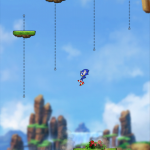 My biggest question about this game is a simple why. 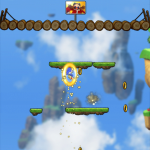 Why is Sonic in a jumping game? Why re-skin and release a three year old concept? 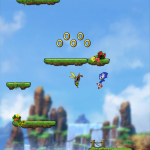 It's not like Sonic the Hedgehog has ever been known for his jumping, so it's an odd choice. 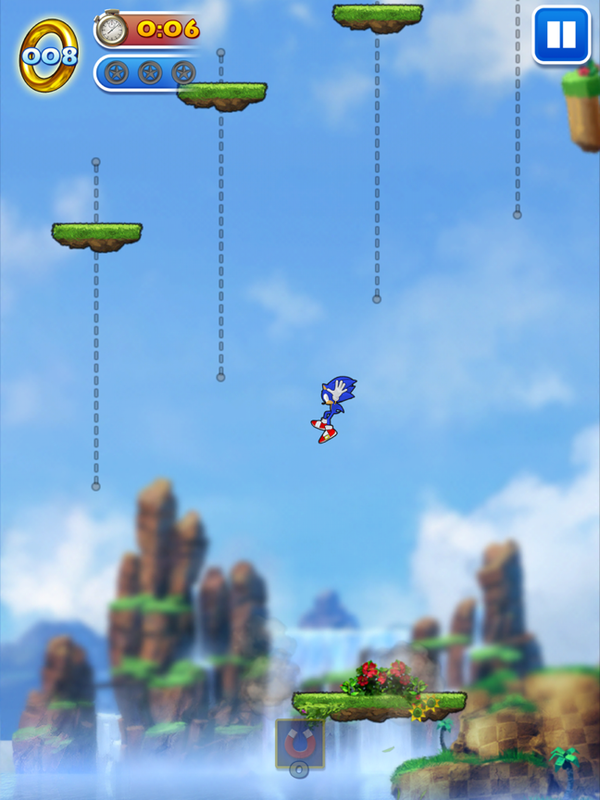 That being said, there's absolutely nothing wrong with this game. 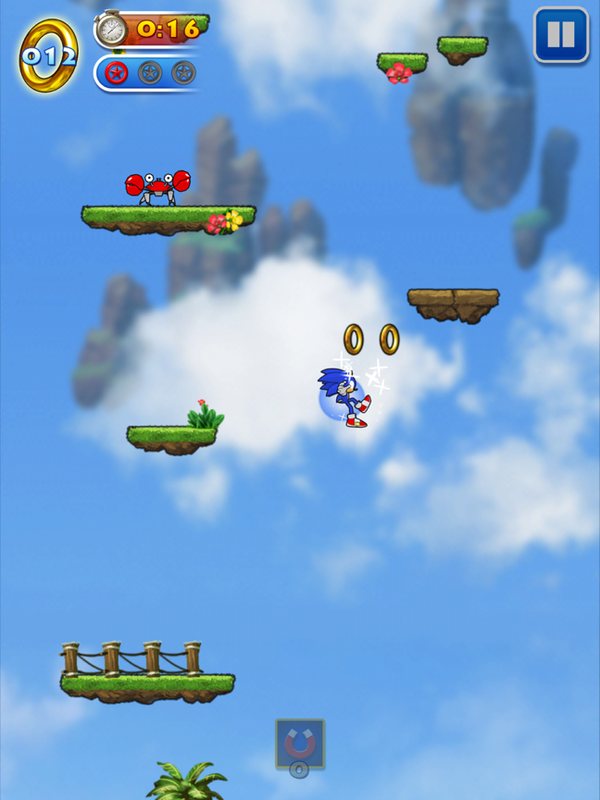 It has the great graphics that you'd expect from any Sonic title, along with uncomplicated gameplay. 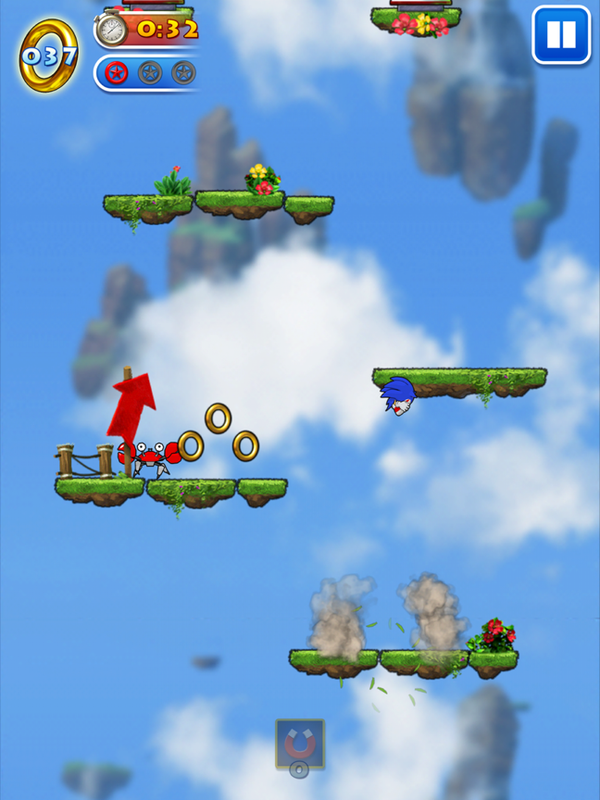 As in other jumping games of this type, the goal is to get as high as possible. 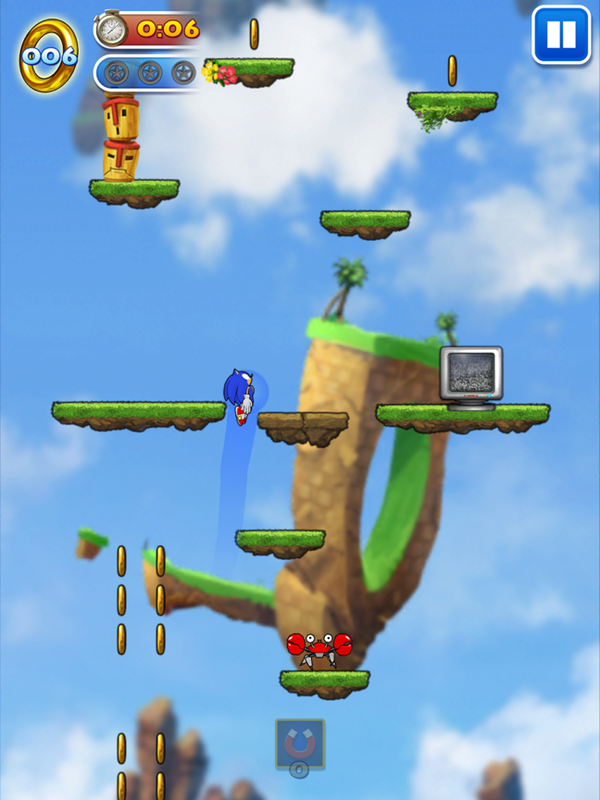 You'll tilt your iDevice to control where Sonic lands, while tapping to double jump when necessary. There are obstacles, such as crabs and wasps to avoid. 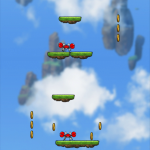 You can eliminate these enemies by jumping underneath them. 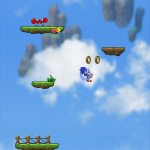 You'll also need to stay away from spiked platforms, navigate crumbling platforms, and collect rings and power ups as you jump higher and higher. 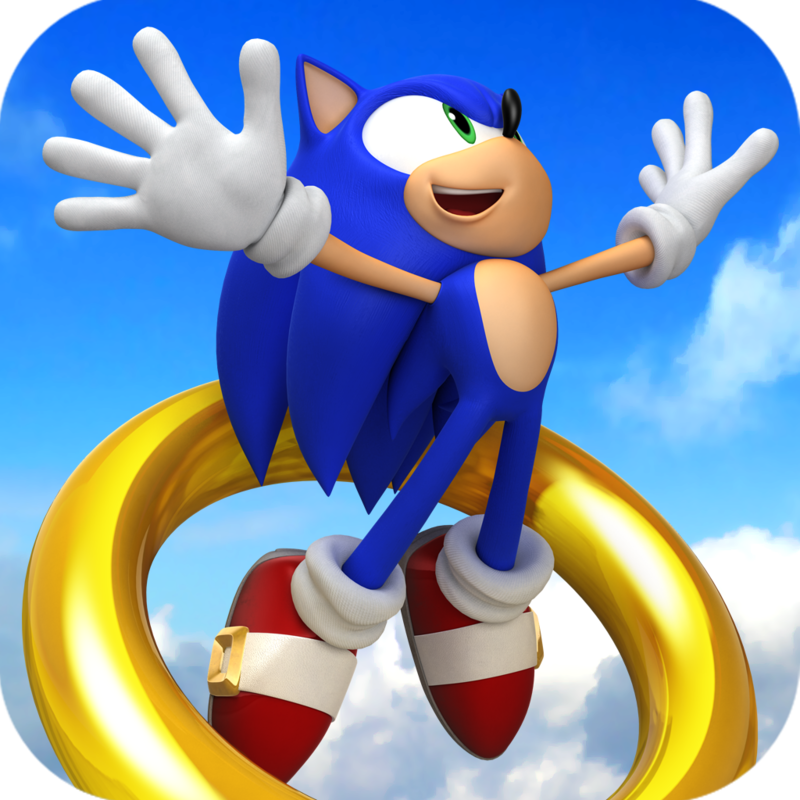 It's important to hang onto at least one golden ring at all times, because if you hit an enemy without one, it's game over. 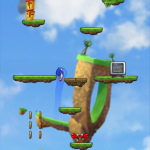 Sonic will also meet his doom if you fall off of the bottom of the screen after failing to reach a platform. 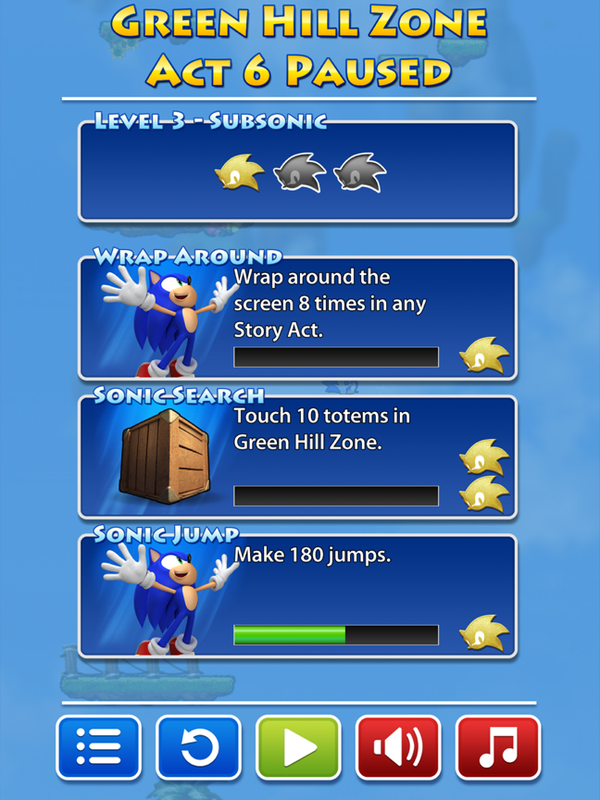 There are two game modes, story and arcade. 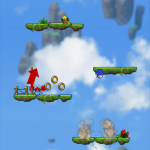 Story is organized into different levels with goals to attain, while your job is to get as far as possible in arcade mode. 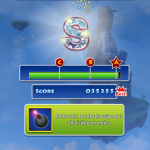 In story mode, as you meet goals, you will gain levels. 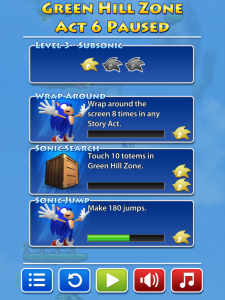 When you've finished 11 stages, you'll fight Eggman before moving on to the next zone. 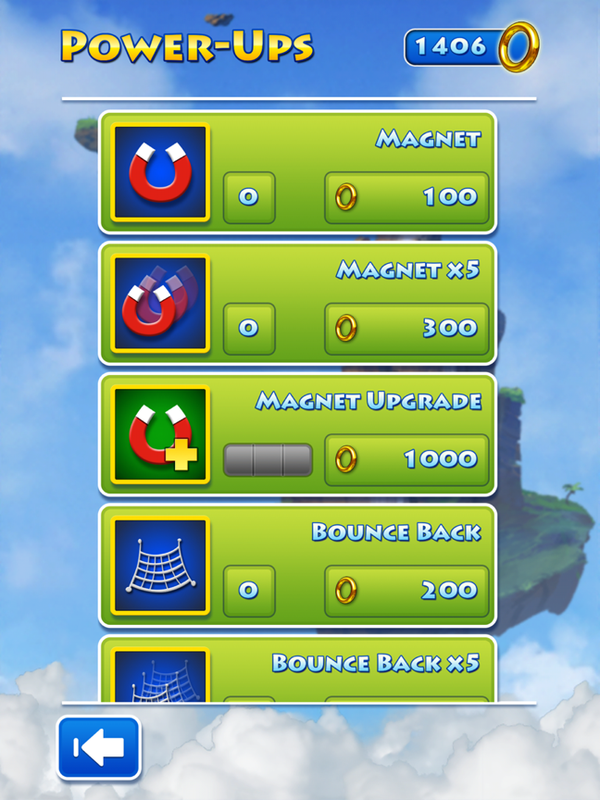 The rings that you collect while playing can be used in the shop to purchase power ups and upgrades that will make the game easier to complete. 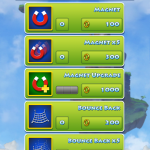 You earn rings based on skill, but you can also purchase them in the app for extra cash. As I said before, there's nothing wrong with this game. 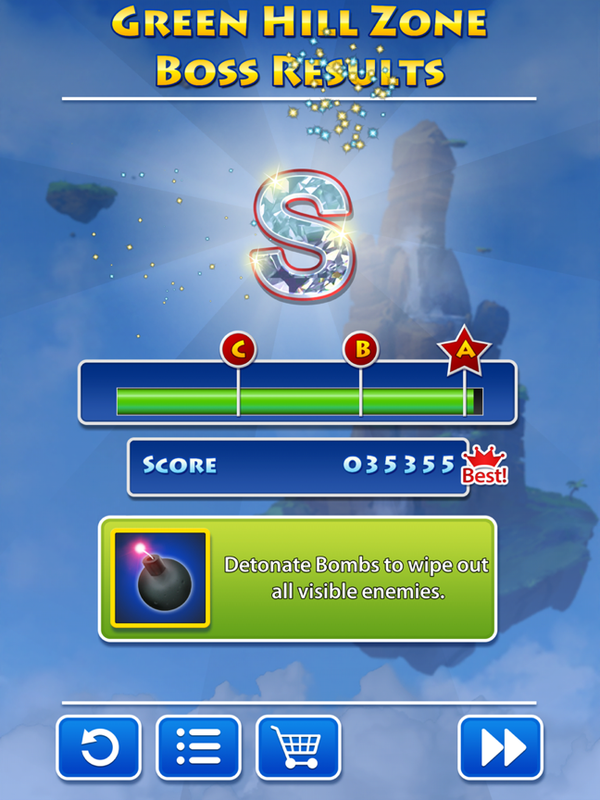 It has good controls, solid gameplay, and it offers a sufficient challenge. 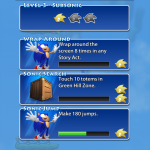 Unfortunately, it's a game that we've all played before in other incarnations, and Sonic Jump doesn't add enough unique content to be different. 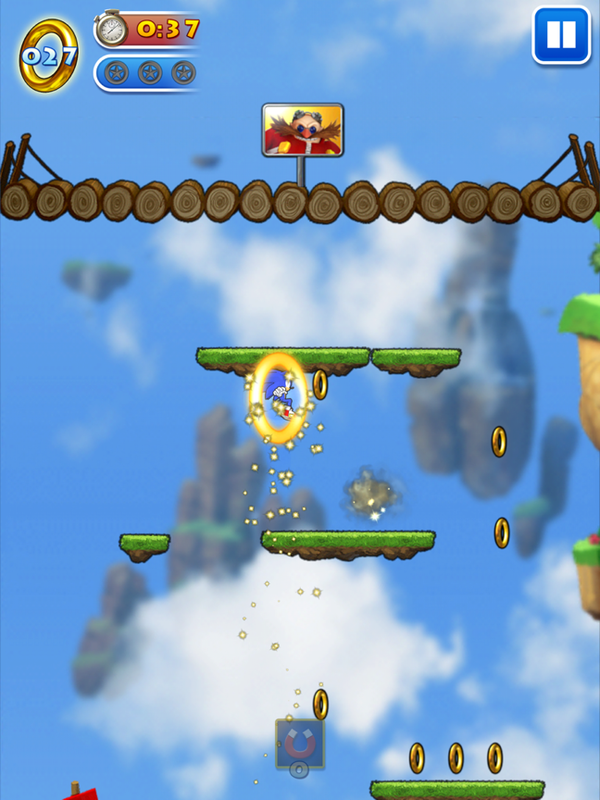 If you're a fan of both Sonic games and jumping style games I'd recommend this one, but otherwise, save your pennies for something original.